Introducing the breathtaking Arizona Community of Ventana Canyon Resort. If you can tear yourself away from spectacular views of the Catalina Mountains, consider one of the many activities the Arizona Community of Ventana Canyon Resort area has to offer: two championship golf courses, lighted tennis courts, a full-service spa or dinner in the Ventana Room, Tucson's only 5-Diamond restaurant. Your perfect vacation style Ventana Canyon Resort Community Arizona homes, nestled at the base of the majestic Santa Catalina Mountains make for a perfect Arizona vacation residence. Unforgettable mountain views, lush golf course vistas and perfect Arizona sunsets are part of the magnificent resort-like setting. 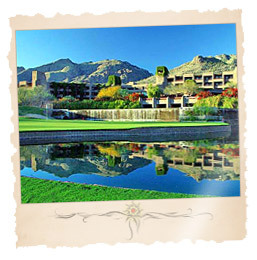 Ventana Canyon Resort Community is adjacent to the world famous Loews Ventana Canyon Resort. Enjoy the lifestyle at Ventana Canyon Resort Arizona Community, amid a spectacular desert setting. Residents enjoy pools, clubhouses and fitness centers. The Ventana Canyon Resort Arizona Community is only minutes away from upscale shopping, dining and art galleries. Arizona hiking and biking trails abound. Take in the natural beauty of nearby Sabino Canyon recreation area. Many fine dining restaurants are close-by. Upscale fashion shops and only minutes away. Enjoy warm, sun-filled days and quiet star-lit nights in the comfort of your new Arizona Ventana Canyon Resort Community Arizona luxury home. Look north into the Catalina Foothills mountain range and see Arizona homes high on the Ventana Canyon ridge, they look minuscule but in reality they are contemporary Ventana Canyon Resort Community Arizona mansions hugging the granite mountainside. Lovely patio homes and single-family homes surround the Arizona golf courses of the Ventana Canyon Resort, occupied by families and retirees who appreciate the views and convenience of recreation. Ventana Canyon falls between the Catalina Foothills and Sabino Canyon areas and north of Sunrise Drive. Ventana Canyon Resort Community features Arizona homes carved out of the Northeast Catalina Foothills with the single-minded purpose of bringing a higher standard of living. Where else can you live so near to one of Tucson's premier Arizona attractions, the river and mountain sanctuary of the Sabino Canyon, ideal for optimal recreational activities? Nestled against the dramatic backdrop of Tucson, Arizona's beautiful Santa Catalina foothills are two incredible Arizona golf courses in the Ventana Canyon Resort, the Ventana Canyon Mountain and Canyon Courses. Both Arizona courses were designed by Tom Fazio and have won Golf Magazine's Gold Medal Award and Links Magazine's Best of Golf Award. Each Ventana Canyon Resort Community Arizona course has golf holes carved out of rock and overlooking the city. You will play tee boxes you will not believe were created and see wildlife throughout each course. Ventana Canyon has some of the most developed desert vegetation and the largest saguaro cacti. Against the dramatic backdrop of the Santa Catalina Mountains, stately ancient saguaros lift their arms to the sky, a myriad of fascinating wildlife scurries about the Sonoran desert landscape and all is right with the world. 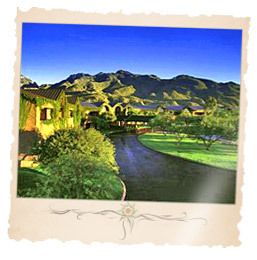 Nestled in this pristine setting is the Ventana Canyon Resort Arizona Community. The tools to begin your new Ventana Canyon Resort Community Arizona homes search are right at your fingertips. To get started, simply click on the quick link above or browse Arizona new construction homes and houses for sale using the links to the right. 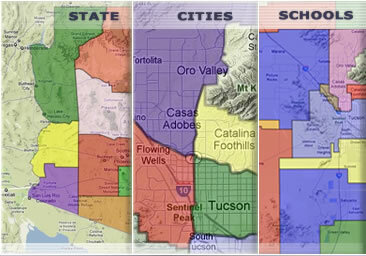 Find a new Ventana Canyon Resort Community Arizona home for sale or locate a home builder in Arizona on MyOwnArizona.com. Our MyOwnArizona™ Ventana Canyon Resort Community Arizona real estate guide showcases new construction homes, townhomes, condos and new Arizona communities by new home builders throughout the State of Arizona. Find new homes by map, desired home price or by browsing new developments and floor plans by lifestyle or home type. All home listings include home price, location and money saving incentive offers to make buying a new Ventana Canyon Resort Community Arizona home more affordable. All houses for sale listed include floor plans, pictures and many offer tours of the new homes and communities. Contact us at: info@MyOwnArizona.com for Arizona & Ventana Canyon Resort Community in Tucson, AZ real estate.